The world needs good coaches and I want to help trainers succeed. With over 10 years of experience in the industry I have learned a lot and made mistakes that could have been avoided with better guidance. I love to teach and I believe our system and culture is awesome and would be very happy to see more awesome trainers in the industry. Experience. There is only so much text books and certifications can teach you, without getting your hands dirty in the trenches. Learn to work with everyone from youth athletes, adults, and people with special needs. 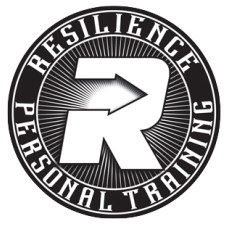 Some of the things we will cover is program design, strength training, foundation training, resistance flexibility training, creating a fun training atmosphere, marketing, how to close a sale, client assessments, speed and agility training. Etc. Get hands on experience shadowing and working with real people under my tutelage. The business has been growing and I am looking to hire solid individuals to help train clients and teach classes. When? Starting June 13th through July 28th we will meet every Tuesday and Thursday at 11am. Who: This internship is intended for individuals seriously interested in a career in the fitness industry. All applicants must be certified or currently working on their certification. Applicants must be planning on living in Santa Barbara for at least a year at the start of the certification. I will be only accepting 4 people into this round of the internship. Please apply by sending over a resume as well any pertinent information about yourself as well as experiences with fitness and professional goals.